Mobile phone users in India are eyeing April 15, 2009, the day when as many as 25 million of their China-made mobile phones will die, with apprehension and concern. Mobile phone manufacturers in China have sold up to 25 million of their grey market phones in India, and those phones often lack international mobile equipment numbers. An IMEI is a unique 15-digit code that identifies the handset. Each time a call is made, the telecommunications company uses the IMEI to identify the caller via a universal registry of phones. If a phone lacks an IMEI, the telecommunications company can still route the number to the destination, but it does not know which phone is making the call. And herein lies the problem: the Department of Telecommunications in India's Ministry of Communications and I.T. worries that these anonymous phones can be used by terrorists. In a letter dated October 6, 2008, with memo number 20-40/2006-BS-III signed by B.L. Panwar and addressed to all mobile access providers in India, the Department of Telecommunications stated that in the interest of national security, all Indian telecom operators should focus on implementing checks of IMEI within two months. This time period has since been extended a few times, and now April 15 is the deadline. Wireless service providers in India are expected to disconnect mobile phones that lack IMEI on April 15. While Indian mobile phone users can verify their own IMEI numbers by pressing *#06# on their handsets, the worry is what will happen if they are among the unlucky consumers who purchased a Chinese-made phone lacking an IMEI. The DoT estimates the 25 million phones lacking IMEI in India account for about 10% of the total phones used in the country. Telecom firms like Vodafone and Airtel could take a financial hit if all of a sudden these phones go out of service. Unfortunately, these phones are often used by low-income users, so to get those users back, the telecom companies might need to subsidize new phone purchases. ChinaTechNews.com has run a few articles on the IMEI issues over the past year, and comments posted on the website showcase worries among consumers. In fact, many more comments on the website from Indians have been deleted than posted because in the rush to gain credible information, many Indian commenters have posted their personal details and phone numbers on the website in a bid to gain as much support as possible. Indian users are obviously worried. On June 12, 2008, Henry posted this comment on ChinaTechNews.com in support of government intervention: "I think it needs the government to participant into that market by controlling the supply of the IMEI, so, people can track if their mobile phone is brand new and/or come from the quality factory. the way of branding the mobile phone or teaching the end-user to select the good phone are not worked. It's not just the bad quality factory, but also the refurbish mobile phone". And on January 10, 2009, Dayanand writes, "I have Zhong Da T300 Dual SIM Card Phone With Dual TV & Bluetooth Function. But this model doesn't have IMEI number please help me to get IMEI or where from i can update it to my mobile Please help as early as possible". So what are Chinese mobile phone manufacturers doing to show compliance? At the end of 2008, China's Ministry of Industry and Information Technology announced that the GSM Association approved China's Telecommunication Terminal Testing & Approval Forum to issue international mobile equipment identity numbers to Chinese TD-SCDMA and GSM mobile phones and more than 200 types of mobile phones received the IMEI numbers. Previous to this, the GSM Association only authorized the British Approvals Board of Telecommunications and North America's PCS Type Certification Review Board to issue IMEI numbers to handset manufacturers. While over-sensitive privacy advocates might balk at this additional layer of consumer protection, businesses and consumers should be pleased that Chinese-made mobile phones are increasing their conformity with global standards. But with all of that in mind, where was the sense of responsibility from the telecom operators in the first place? Why did it take an edict from the Indian government to make both Chinese manufacturers and Indian telecom operators align their business interests in a more responsible pattern? Left to their own devices, the companies would have continued to pursue quick money to the detriment of safety in the future. I am using the china mobile phone too! my model no.s10 ( 359161020295090 ). plz send me my imie no. on my email id . and send me information of my imie no. is actual imie no. or duplicate or is this right or wrong? how i can check my imei no of my china mobile phone is valid or not. A valid IMEI number will have 16 digits. These china made cellphones have 15 digit IMEI numbers. Fraz & Rajeev, to get your mobile phone IMEI no, just dial *#06# and the IMEI no will automatically appear on your screen. By the way, some of my friend told me that even if the mobile phone got the 15 digits IMEI, there may not be a disconnection if the no. is not cloned. I can't believe how dumb can readers of this site be to be sending their phone numbers asking this magazine to check their IMEI?! Anyway, what's the point of this article? Instead of beating around the bush, you should just easily explain the 'Shuandaiji' situation – the fact is, just as with every other industry, there are just so many 'pirate' manufacturers here in China making unlicensed phones. Unlicensed as in no IPR payments to patent holders and no registration to things like IMEI. Who cares? IMEI was supposed to prevent phone thefts when it was first created, but it was never properly implemented since the onus is on each individual operator to maintain the database of blacklisted phones. I have new china iphone with 16 digits IMEI but in dubai it is working,now iam going to india is it possible to work in india.How can i check my imei no of my china mobile phone is valid or not.A valid IMEI number will have 15 digits or 16 digits.The same IMEI number exists in more than one phone.If the same other IMEI number has any problem it will affect me also..Is it correct? to magesh: i just bought a different chinese cellphone with the same imei number as yours. my phone doesnt work. i report this and the bank is going to verify the payment. they are all scam. good luck to you. and for save there money.is this true.any body have any information about this….. I am using the china mobile phone too! my model no.s90I ( 352540030437395 ). plz send me my imie no. on my email id . and send me information of my imie no. is actual imie no. or duplicate or is this right or wrong? who can i get the valid IMEI no. Sir my handset model is Sigmatel S88 & IMEI No. is 352366031504862. is this IMEI No. is valid or Not? if this no is not valid then how can I get a valid IMEI No. Pls Reply on my Email. Is there any opction present 2 change the IMEI no of chines mobile phone. pls. email me and oblised me . I planned to buy a china mobile n98. Still any problem is there? Is this advisable or not? then you will find some new options and check them……. For my China Mobile when it is open it shows the screen IMEI Corrupted! how can I make a valid IMEI? hello sir my chaina handset model is K9 plus imei no.is 354408030059080 please check this imei valid or not valid ? if valid then where is check website if not valid which reason ?please rply with my email. I am using the china mobile phone too! my model alfatelh2 ( 354101000916641). plz send me my imie no. on my email id . and send me information of my imie no. is actual imie no. or duplicate or is this right or wrong? how can I know IMEI no of any chinese set. AND if there no IMEI no in Chinese mobile then how i can iget it ? I am using chinese handset model no E55 with dual sim.The no. of imei is 351639030193841 and 35163903093833.please inform me on my email id that the imei is valid or not. My self Abhimanyu Poddar and i m using chineese mobile my IMEI NO IS 358732289530767 And Model no is SV:78, Please provide me the IMEI number as soon as poosible. It would be great if you give me 1 or 2 days. S88 IMEI Register which is used by my client in AIRTEL & RELIANCE network. 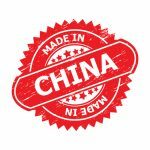 You can not get a IMEI number in China for your mobile phone! Stop asking for a valid IMEI number in China! You purchased a bad phone without a good IMEI number. The solution to your problem is to buy a true phone with an accurate IMEI number. mobiles and i want to take franchisee for that work . I am using China Mobile NKTEL Mdel-K990 S/N.650958180094 and its IMEI No.352595881800943 and IME SV:78 it is dual SIM mobile and now using 1. BSNL and other one is AirTel SIM. From AirTel I have received msg.your IMEI No.is not valid so registered from Govt.Rs.199/- X Rs.199/- for two SIM and after 29.11.09 it not working. I want to know it is correct or not please confirm me in my e-Mail ID. & 135790246811220 but reliance service said this is not valid no. Hi, Im using sony G705, can you tell me please how to find mobile imei number is valid or not? for vodafone customers also. I have a china handset dual sim MODEL NO. SIGMATEL s88, IMEI No. 352366032581661 IMEISV:78. Please let me know if my IMEI no. is valid. If invalid, what is the procedure to validate it. Let me know as soon as possible. Using idea vodaphone customers type the following comment to 53232 and check wether your IMEI is correct or not. for getting your imei of mobile enter *#06# on ur mobile and it is 15 digits. I am using Sigmatel mobile with IEMI no.352604030268810 , is this valid or not? i m using nktel mobile n my IMEI NO is 135790246811220 please send me reply on my email id . is it original or not. I'm using china mobile, How see IMEI Number original or duplicate? Please help me…. I am using GDM company china mobile which is dual sim mobile.Plz let me know how to check whether the Imei number of the same are valid or not. If the same are invalid than what has to be done to get the valid imei number. I have a china handset dual sim MODEL NO. SIGMATEL S33, IMEI No. 3357569000214836 Please let me know if my IMEI no. is valid. If invalid, what is the procedure to validate it. Let me know as soon as possible. I am using China Mobile sigmatel S/18 and its IMEI No.351833031809360 it is dual SIM mobile and now using 1. BSNL and other one is AirTel SIM. From AirTel I have received msg that As per govt. Directive from 25th Nov 2009 phone with invailded IMEi will not work with any operator. pls change urs phone as urs phone is also identified with noIMEI . My requested – how i can know that My IMEi is Vaild,if no, how can i registar for valid of my phone. Pliz suggesr to me. I have using a china mobile. I want to know that my mobile	Sigmatel-FXD S30 (IMEI- 352180031762762) will have locked. plz send answer soon. douplicate? How to know this no's are original or douplicate? have a valid imei no. amount and register your mobile imei no. list of addresses near your area. i am using China Mobile sigmatel S/18 and its IMEI No.355304030221540 it is dual SIM mobile and now using 1. airtel and other again is AirTel SIM. From AirTel I have received msg that As per govt. Directive from 25th Nov 2009 phone with invailded IMEi will not work with any operator. pls change urs phone as urs phone is also identified with no IMEI . My requested – how i can know that My IMEi is Vaild,if no, how can i registar for valid of my phone. Pliz suggesr to me. I'm using china mobile, How see IMEI Number original or duplicate? Please help me Sir….Signatel – S18. I am using China Mobile NKTEL Model-A200.it is dual SIM mobile. its IMEI Numbers are 353076031576633 and 353076031576641 and IMEISV:78.These IEMI Nos. are valid or not? I am using China Mobile Sigmatel Model-s3 .it is dual SIM mobile. its IMEI Numbers are 357569000274376 and 135790246811220 and IMEISV:78.These IEMI Nos. are valid or not? hi this is vijay,i am using china mobile dual sim with cdma and gsm,my imei no is 353918002147961.plz check my imei no ,if its right or wrong,plz send the correct information as soon as possible. I am using a china mobile NKTEL model. it is dual Sim mobile. Its IMEI no is 35849202001165 & 135790246811220 and IMEISV :78. this is a valid no or not & how can I solve as soon as possible? no.is imei- 359180010702428 imesv- 78 & imei – 359120010762422.
am using China Mobile sigmatel S/9 and its IMEI No.3575690000228109 it is dual SIM mobile and now using 1. Vodaphone and other is Reliance Tel SIM. From AirTel I have received msg that As per govt. Directive from 30th Nov 2009 phone with invailded IME i will not work with any operator. pls change urs phone as urs phone is also identified with no IMEI . My requested – how i can know that My IMEi is Vaild,if no, how can i registar for valid of my phone. Pliz suggesr to me. I am using China Mobile NKTEL Mdel-A200 and its IMEI No. it is dual Sim mobile. Its IMEI no is 352366031565905 & 135790246811220 and IMEISV :78. this is a valid no or not & how can I solve as soon as possible?Pls REPLY AS SOON AS POSSIBLE. I am using China Mobile SIGMATEL FXD and its IMEI No. it not working.Please guide us urgently what I have to do? if possible please give me details of genuine IMEI providers in Chandigarh. Early reply please. am using China Mobile sigmatel t/33 and its IMEI No.3575690000228506 it is dual SIM mobile and now using 1. Vodaphone and other is Reliance Tel SIM. From AirTel I have received msg that As per govt. Directive from 30th Nov 2009 phone with invailded IME i will not work with any operator. pls change urs phone as urs phone is also identified with no IMEI . My requested – how i can know that My IMEi is Vaild,if no, how can i registar for valid of my phone. Pliz suggesr to me. Sir I would like to know whether he is correct what he charged ????????? Hi! my set is sigmatel fxd s90i, till yesterday both sims worked, today FIRST sim is working even when i inter change both sims. My IMEI number hit success telling me my moble details and a valid imei number. What to do???? I am using the china mobile phone too! my model no.s90I ( 355686025899383 ). plz send me my imie no. on my email id . and send me information of my imie no. is actual imie no. or duplicate or is this right or wrong? i m using the china mobile model no. FXd s-80 IMEI no.359195020416140 IMEISV:78.using vodaphone SIM.Till govt. has informed through media that without IMEI no. phone will be locked late night 30/11/2009.My phone has IMEI no. then tell me why it has been locked,if it is not valid IMEI no. then send me valid and the process to do it, also tell me how mobie sale & service centre recovering this process and demanding Rs.300. I am using the china mobile phone too! my model no.s500 ( 135790246811220). plz send me my imie no. on my email id . and send me information of my imie no. is actual imie no. or duplicate or is this right or wrong? I'm using China handset. I visited the neareset center which corrects these IMEI no., but the center stopped providing this service, I contacted my service provider, they gave me the address 2 days ago which was approx 50 km far. Now 30/11/09 has passed and my handset has stopped working. Customer care people says, I cannot use my handset. Please tell me how can I get my IMEI no. corrected. I happen to possess a dual sim china made mobile handset. I made a blunder of not saving my imei no. and today morning when I woke up I found my mobile showing invalid SIM? 16:48 .So please send me a informaion for this requirment. number avilable in my heandset no.is (359689801677276). Now what to do pls confirm me. understand whats happening is it block or what ?? My Mobile handset is almost 2years over & no complaint in these. i m using the china mobile model no. FXd 7700 IMEI no.352604030268810 IMEISV:78.using airtel SIM.Till govt. has informed through media that without IMEI no. phone will be locked late night 30/11/2009.My phone has IMEI no. then tell me why it has been locked,if it is not valid IMEI no. then send me valid and the process to do it, also tell me how mobie sale & service centre recovering this process and demanding Rs.300. i am using the china mobile.but at this time my china mobiles is dead. plz send me imei number updated. Request you to send me the procedure to update the Imei number into the nktel and sigmatel mobiles…. some one please advise me what to do. loked,if it is not valid imei no.then send me. I want to purchase chinese mobile model no is E55. I am using TATA Docomo, Aircel and Vodafone. I wand IMEI no for this set. If any problem in using TATA Docomo and Aircel. plz provide me the process how to get my china mobile registered with a valid IMEI number. how can i get it to be corrected…plz reply on my e-mail id….as soon as possible…..
Hi , i am using china S3 mobile and my mobile imei number 357569000137508 but is not correct …….plz my mobail activat. i am having china A960 model its not working due to invalid IMEI. Now what have to do, how to do IMEI regestration? I am using China Mobile and its IMEI No. I am using China Mobile SIGMATEL S4 and its IMEI No. hi,iam bicky i used chinese mobile sigmatel s3.my phone imei no; is 135790246811220.my cell totaly off.what can i do? I have a chinise mobile hahing IMEI no.135790246811220 is not working from 01.12.2009.What can I do? I have china made mobile IMEI no.135790246811220 is when i insert my sim card not registert will show.What can i do ? where can i register imei number in india? this mobile are new pish i buy in shope that time this mobile dual sim are ok but this time both sim are off. 375340000206836 is my mobile emie number so plese send my original number other wise how can i use this emie number again. I am in need of IMEI number for my NKTEL A200 china set mobile phone.Send me as early as possible. i hav got dual sim facility in my mobilebut now i m able to use only one sim .plz tel me that wht to do so that i can use the second one also.??? hi i have a china mobile which model no. is BOSSH M-305. 135790246811220. i want to know that is it a vailed emi no. pls reply me on my email id . PLEASE CHANGE MY EMI BECAUSE MY ONE SIM IS SHOW INVALIED. i want emi no for my china phone u please send me valid emi-no and also send the process to use it……………. I am using the china mobile phone too! my model n958.imei:359698802673614 plz send me my imie no. on my email id . and send me information of my imie no. is actual imie no. or duplicate or is this right or wrong? i have an china mobile sigmatel fxd 7700 i have two sim card but only one sim is valid the other sim which belong to idea sim number 9603653019 is not working so please clear my doubts and give me a valid imei number as soon as possible thanking you. I have china handset dual sim model no. sigmatel s400, imei no. Sir plz help me sir my dual sim(G'five) second sim does not work. How to cheak IMEI valied or not. How to get new IMEI. My mobile imei no is 354101064178542 & IMEISV:78 in my chinese mobile there is no open properly web page how can i used this mobile for internet? how can i update my imei number for dual sim use???? second sim is not working. My mobile apple iphone (China made)found to not working with any networks for past 1 week. Kindly help me regarding this. Is there any option to rectify or can we able to find what problem in that…..? sir, what can i open internet in india if i change imei?